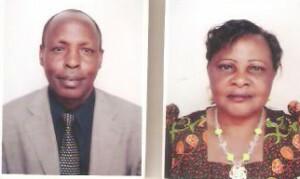 Biography: Mathetes Bible College was started by Joshua and Annah in 2000. Joshua serves as the principal of the college, although he has also served as a pastor in the past. Joshua tells us, "Our vision is preparing ministers and for present and future challenges. We are committed to providing quality and affordable theological education to ministers and church workers. We are committed to empowering the church or Christians holistically. I am able and available to teach voluntarily and raise others to do the same." Strengths:Joshua's greatest strength is that he is not ready to give up. He has great passion for teaching the Word of God. Family:Joshua and Annah have two adult sons, Aston Mugambi and Jeremy Muguna.